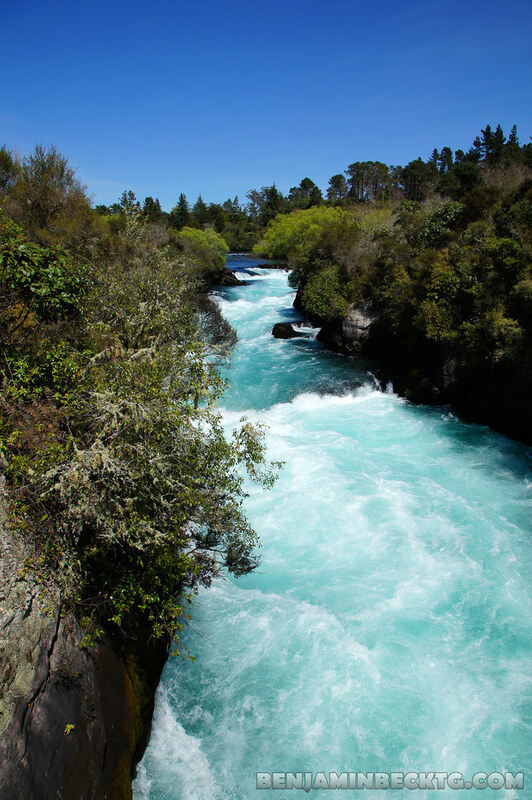 Ice-Blue, Show-White is what the people describe the strong current, pristine river water-falls at Huka Falls. 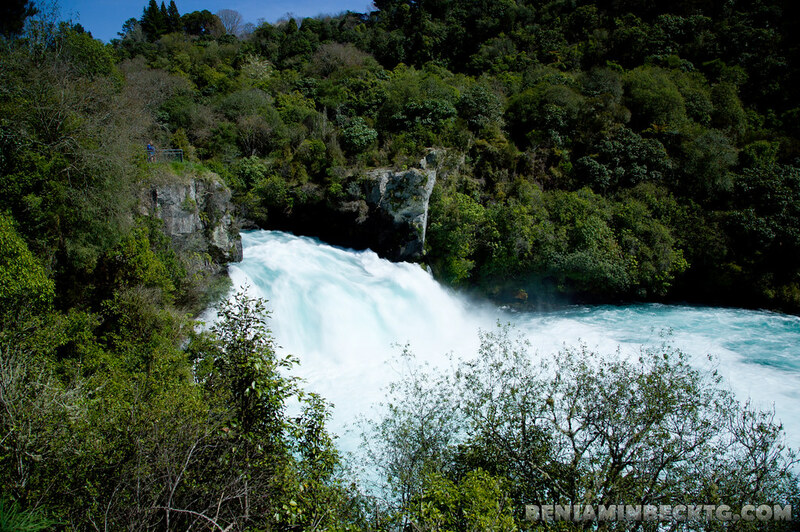 Huka Falls is created through draining the largest lake in New Zealand which is Lake Taupo. 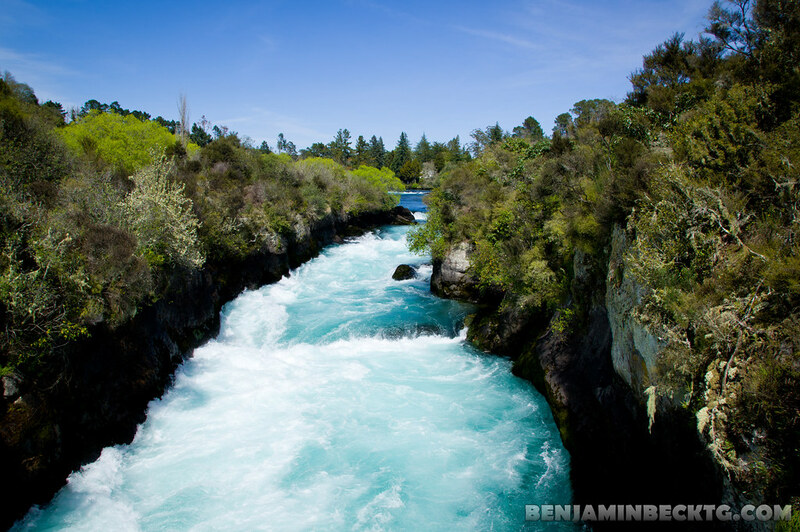 Conveniently, Huka Falls is part of the longest river in New Zealand, namely the Waikato River. There is nothing much to say about this river as picture says it all. The entrance to view Huka Falls is free, but at a long distance drive from Auckland which takes up roughly 3 hours (past by Matamata in which place where Hobbiton is born). 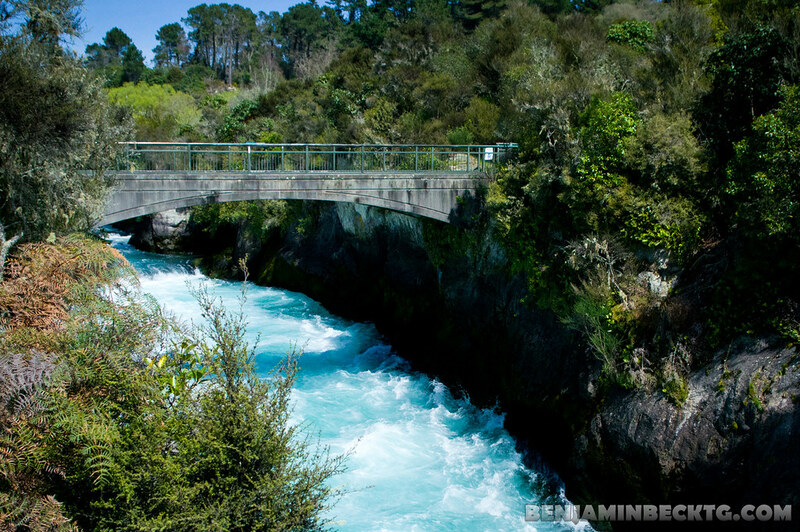 There is Huka Falls River Cruise as well in another form of tourist attraction, in which the ride is against the current to the rough falls where the cruise stops and returned. Not sure of the price of river cruise but visiting this fall is good enough to know that there is indeed a river with “Ice-Blue, Show-White” colored which is pretty rare sight to see, at least for me. There’s other things to do here nearby such as Crater of the Moon (which is closed for maintenance), would likely come back here if I ever drop by Rotorua for visit. And lastly, Panorama of Huka Falls! Click on the image for full-size Panorama coming directly from Sony Alpha 580 internal panorama feature. 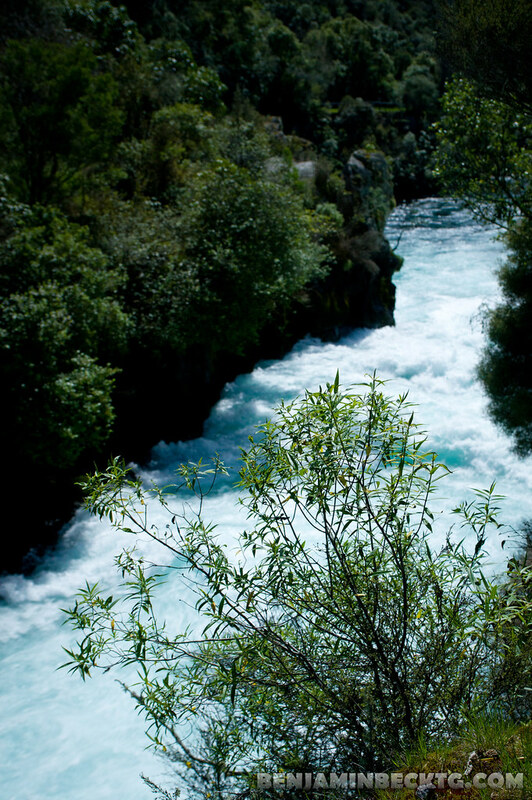 Here’s where the source of water for Huka Falls, Lake Taupo. At the backdrop of this exposure with show cap mountain is Mount Ruapehu. It’s amazing that such big lake can be so pristine when it’s pretty much populated. On the left side of this panorama are all holiday homes.